We recently had the privilege of meeting one of the most gifted Pinot Noir and Rhone varietal winemakers today, Maggie Harrison. At an intimate tasting for the trade, we listened to Maggie’s take on producing compelling, varietal & terroir driven Reds. Many will talk about the importance of it but Maggie lives by it. After working with Manfred Krankl of Sine Qua Non for eight years, Maggie launched her own wine project, Lillian Wines. Lillian specializes in Rhone Varietals from Central Coast and in 2005, Oregon became her home when some of her friends asked her to visit them in Willamette’s Eola-Amity Hills AVA and check out Antica Terra’s vineyards. Today, she makes Lillian and Antica Terra in Oregon and Coriolis is a sister label to Antica Terra with 100% of the profits being donated to the Phil Knight Cancer Challenge. 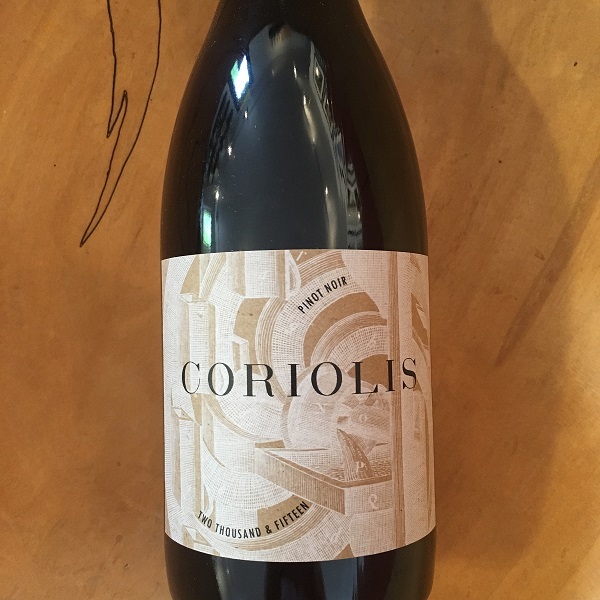 This 2015 Coriolis is a blend of barrels coming from Antica Terra’s vineyard sites and immediately offers ripe notes of black and red fruit leading onto the palate with briary fruit and a touch of baking space. The texture is seductive, and the finish is satisfyingly long. This is a delicious, exciting Pinot Noir in the glass. I highly recommend.